Basal Cell Carcinomas, or BCCs, are the most common type of skin cancer. They grow from the bottom, or basal layer of the epidermis (the outermost layer of the skin). 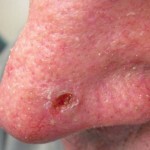 They can look like open sores, red patches, pink growths, shiny bumps, or scars. A sore that looks like it should heal, but never does, is a classic presentation. Basal Cell Carcinomas almost never spread (metastasize), but they can become highly disfiguring if ignored. Most of the time they develop on parts of the body that have seen excessive sunlight, such as the face, ears, neck, scalp, shoulders and back. This is the most frequent form of cancer, period. Each year, there are nearly 3 million cases in the United States. Anyone with a history of sun exposure can develop BCC, but people who have fair skin, blond or red hair, and blue, green, or grey eyes are at the highest risk. They are much more common in older Americans, and more common in men than women. 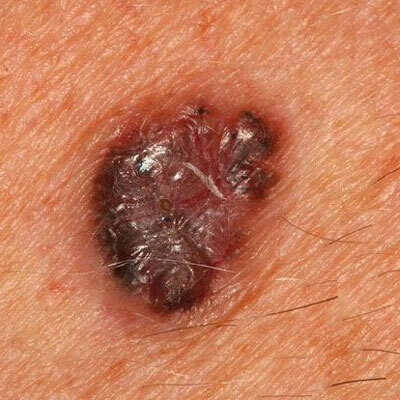 Anyone who has had any other type of skin cancer is at a higher risk of basal cell carcinoma than the general population. This is usually because they have a combination of higher risk from a light complexion and have had enough ultraviolet or sun exposure that already led to cancer. Superficial basal cell carcinoma. 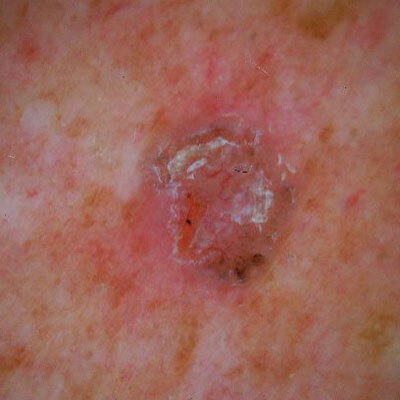 This type is present only in the top layer of the skin and is really easy to treat with a nearly 100% cure rate. Nodular basal cell carcinoma. This is a common type that is also highly curable, but usually requires treatment with destruction or surgery. Mopheaform, micronodular, or sclerosing basal cell carcinomas are all less common. They are also more difficult to treat and surgery is almost always required. Treatment with a topical cream called Imiquimod. 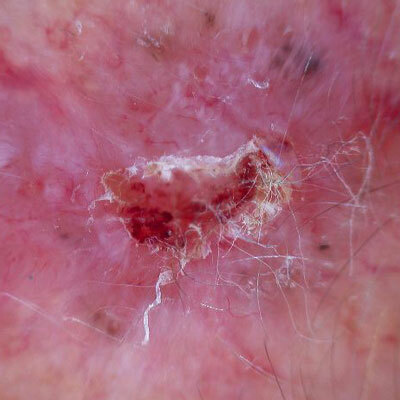 This treatment usually takes 6 weeks, has a high success rate, and usually leaves no scar, but is only suitable for superficial basal cell carcinomas. Destruction with electrodessication and curettage or curettage and cryotherapy. These are office-based treatments that take about 5 minutes. 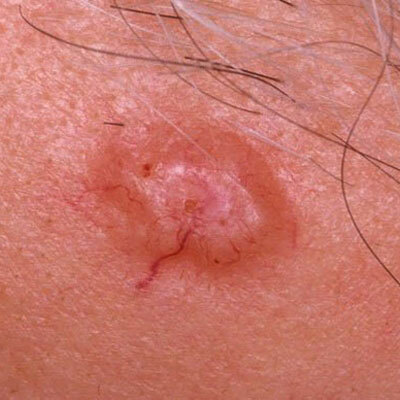 It is highly effective for small nodular basal cell carcinomas in a low-risk setting. It usually does leave a scar. Standard excisional surgery. Here, the tumor and a safety margin are removed in a quick office surgery that will leave a scar. This is utilized for larger tumors on the body and small lesions on the face. Mohs surgery. This specialized type of surgery involves removing the tumor and a minimal amount of surrounding tissue. The tissue is checked while you wait to ensure that all the tumor has in fact been removed. If it has not been removed, additional tissue is taken and rechecked. The entire procedure usually takes a half to a full day, but is highly advantageous in areas of the body when there is little tissue to spare. It is also the treatment of choice for tumors that have recurred. Note that all surgeries performed at Miller Family Dermatology do not require the so-called “facility fee” that is seen when the exact same procedure is performed in a clinic attached to a hospital.